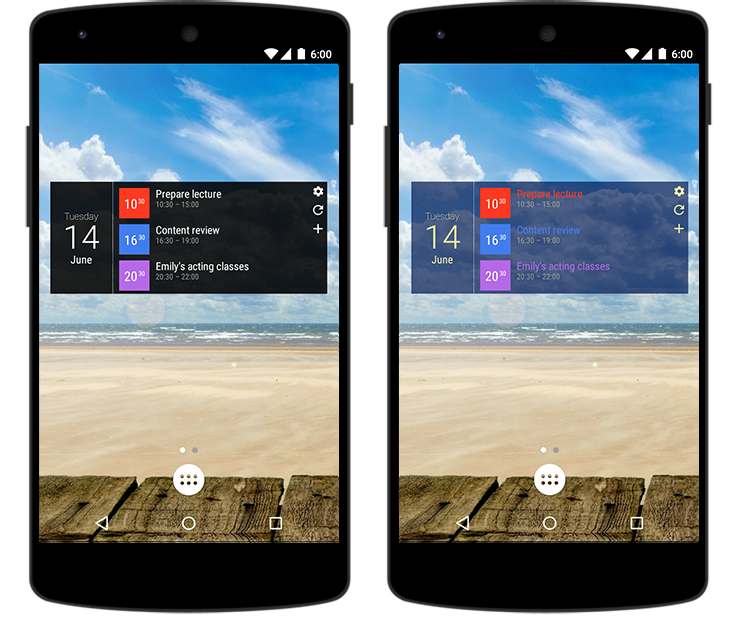 The widgets are highly customizable already in the free version. The pro version, however, offers you various different settings, which are locked in the basic version. Here is the quick overview of various settings according to widget type. Individual widget colors. You can change the color of various widget elements including buttons, month name etc. 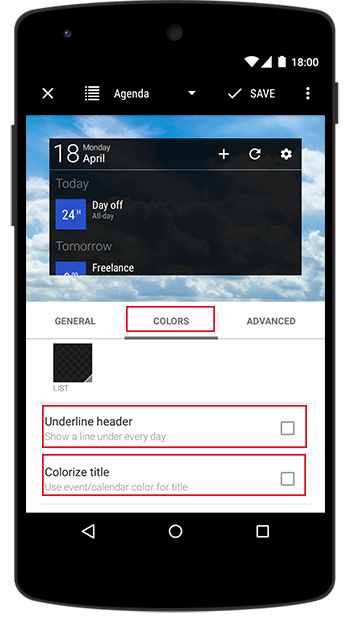 Colorize title feature. 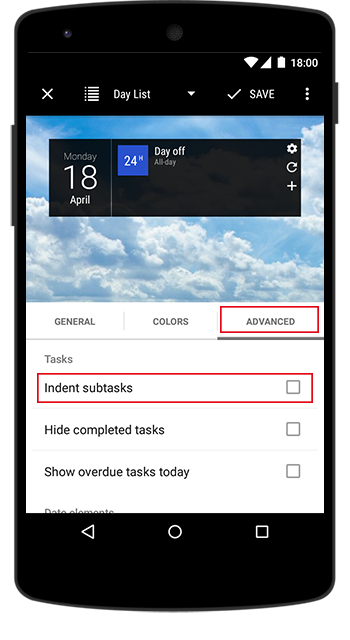 It allows you to set the tasks/task list custom colors as a color of your tasks’ titles. 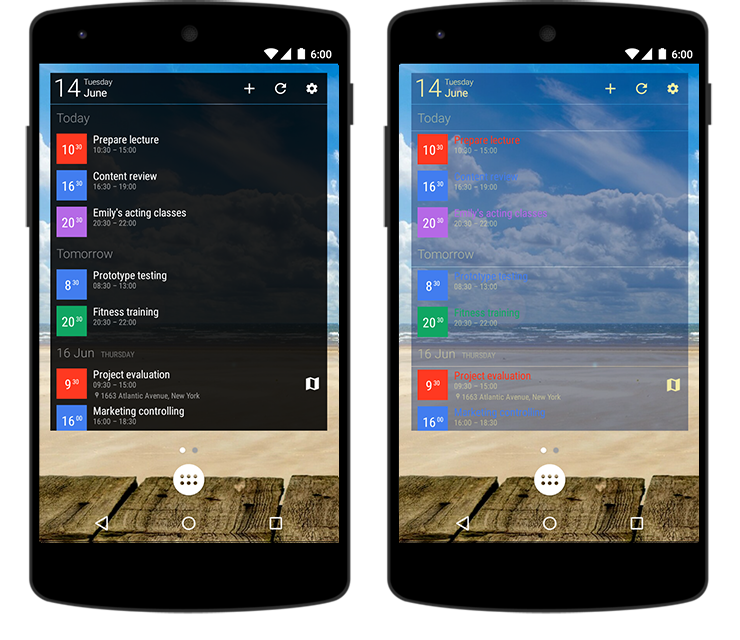 Individual widget colors. 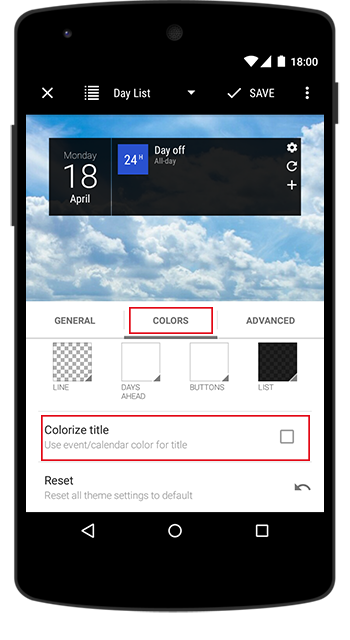 You can change the color of various widget elements including day numbers, buttons, month and day names etc. Individual widget colors. 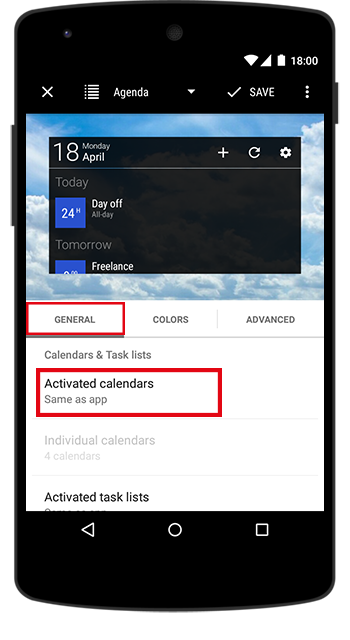 You can change the color of various widget elements including days ahead, event titles and checkboxes, buttons, lines etc. Personal calendar, task lists and birthday selection. 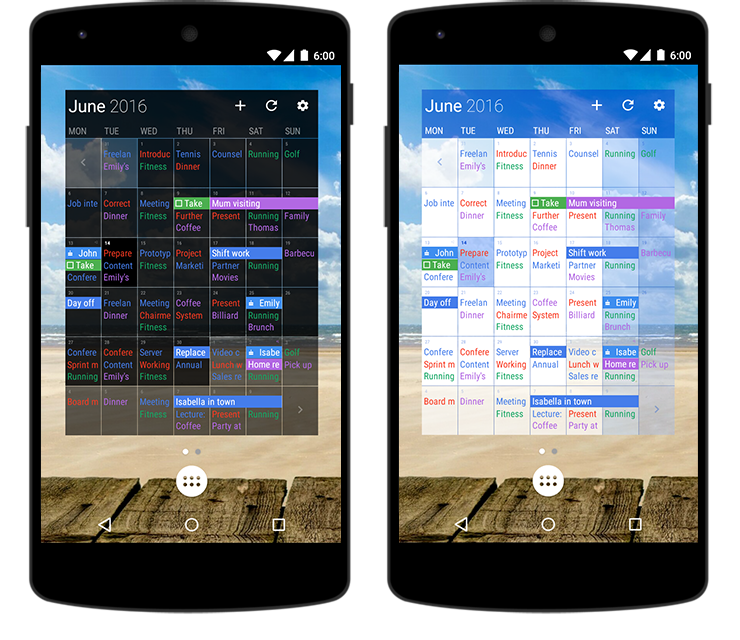 It allows you to set individual calendars, task lists and birthdays, differently than in the app. Individual widget colors. 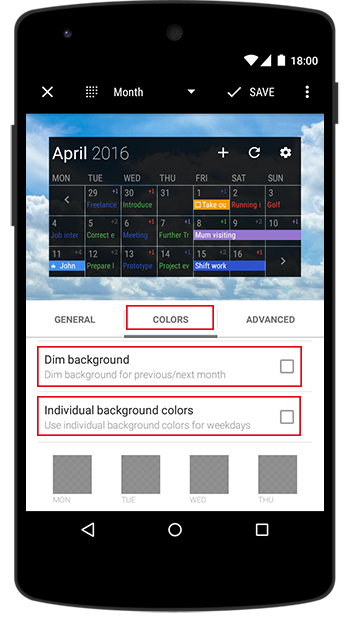 You can change the color of various widget elements including today area, days ahead, background, list, event titles and checkboxes etc. Option to colorize titles. The titles will have the event/calendar colors. 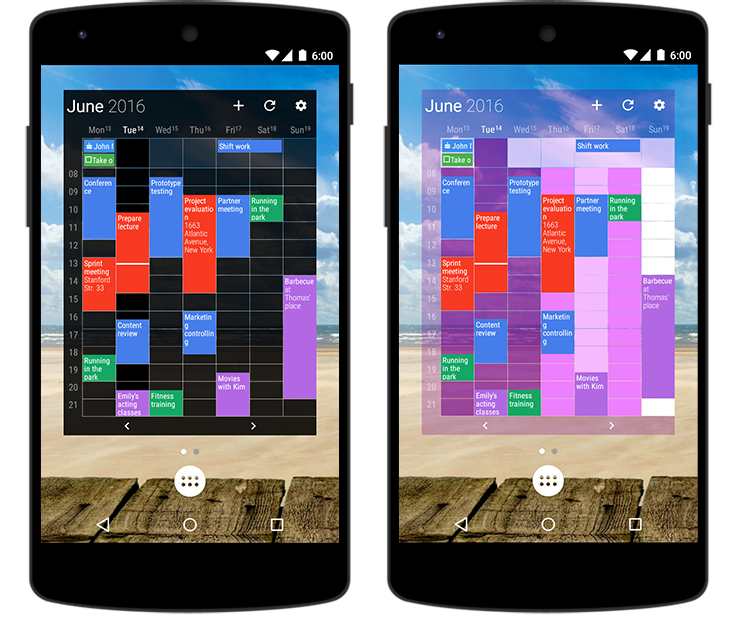 The pro version offers you also the Day Pro Widget, available exclusively for pro users. To find out more about the widget, please refer to the help article called Day Pro Widget.